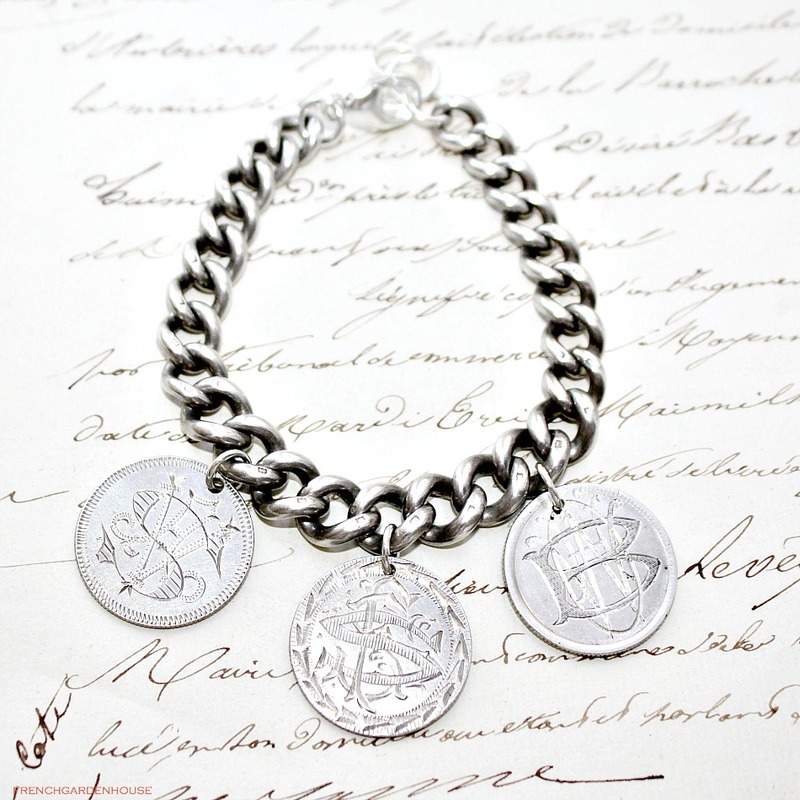 Exquisite Antique Sterling Bracelet is a heavy and gorgeous, each link is hallmarked with the English sterling mark as is typical of the antique chains. Fabulous, bold, priceless ~ just like you! 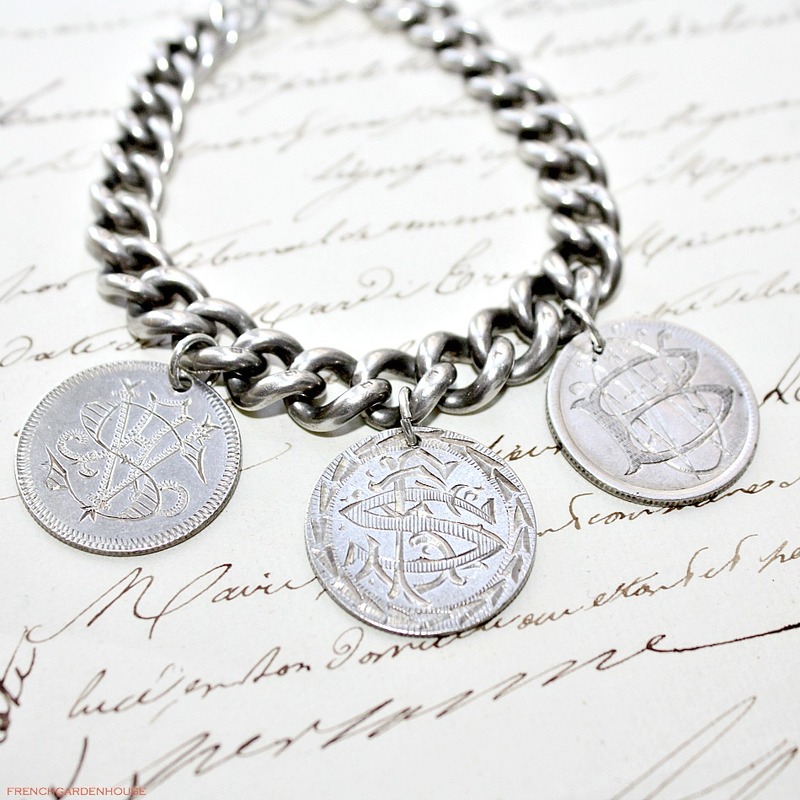 Truly spectacular, this exquisite solid Silver Bracelet has three Love Token Charms, these are American and date to 1876, 1877, and 1978, they are beautfully engraved with S A V, S S F, and B O W H on quarters. 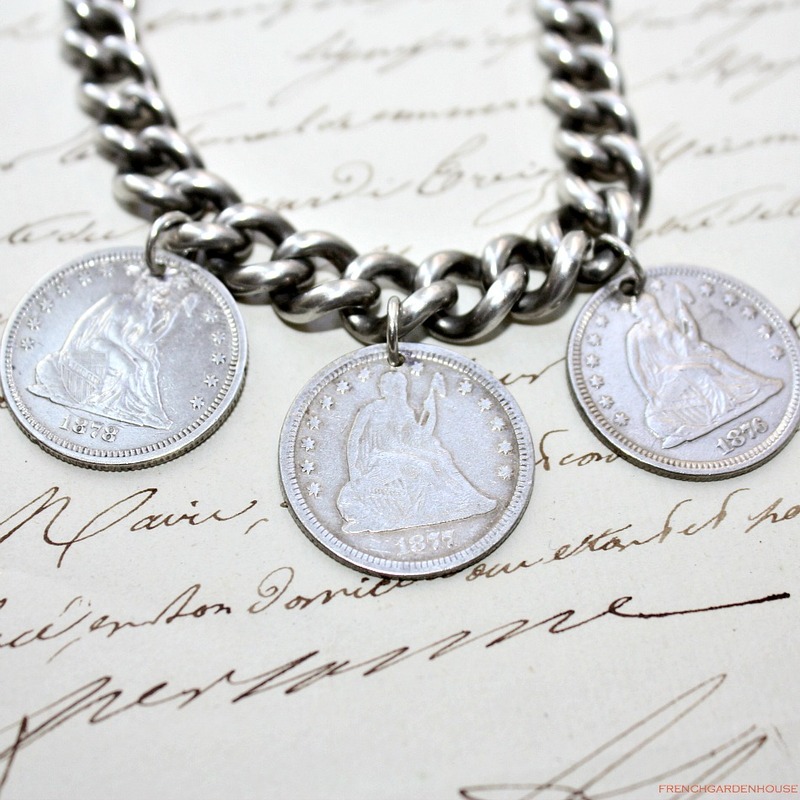 Love Tokens were quite popular with Victorian gentlemen and ladies, a coin was smoothed flat on one side and hand engraved with the initials of the giver. Personalized coins were given as a token of love to a sweetheart, as a promise, a remembrance, an expression of love, as a keepsake and memento from the giver to their beloved. 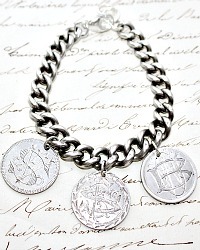 Highly collectible and one of a kind, this is fabulous for you, or to present as a luxurious romantic gift. Measures 1~3/8" h., adjustable from 6" to 8".